The stronger your bones, the greater their ability to withstand fracture. What is the relationship between bone quality and osteoporosis? We hear about bone density all the time; why don’t we hear about bone quality and osteoporosis? 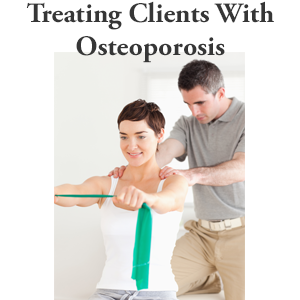 This is the second in a series of articles I have identified as the most important osteoporosis articles. How to Measure Bone Strength? Given the importance of bone strength, what is the best way to measure it? What are the major determinants of bone strength? 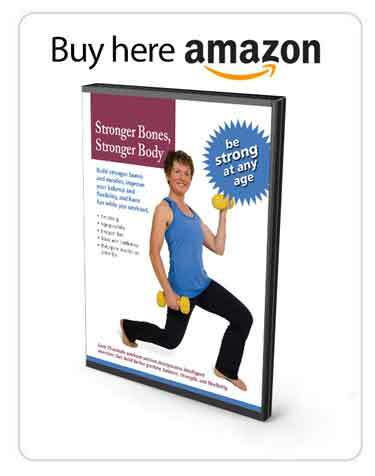 What is recent research telling us about what you can do to improve the strength of your bones? For many years, the density of your bones, as measured by a Bone Mineral Density (BMD) test or Dual Energy X-ray Absorptiometry (DXA), has been assigned a significant amount of weight by medical professionals when they diagnose the health of your bones and determine whether you have osteoporosis or not. The diagnosis is frequently used to estimate your risk of fracture, select your best treatment options and determine whether you should take medication. However, recent research is indicating that the DXA test is not as reliable a measure of bone strength as originally thought. (1) Researchers are now learning more about the relationship between bone quality and osteoporosis. In addition, the results of the BMD test can determine whether you end up on medication or not. The most popular osteoporosis medication, known as bisphosphonates, is frequently prescribed to increase the density of bone. These medications increase bone density but do not necessarily improve the quality of bone. Recent medical research has shown that the quality of your bone structure is more important than the density of your bones when determining the strength of your bones. The BMD test or DXA does not provide information on the quality of your bone, and it does not provide any insight into the architectural structure of your bones. Before I get too far into the discussion of bone quality and osteoporosis, I need to provide some definitions of bone tissue. Bone tissue (or osseous tissue) refers to the bone. There are two types of bone tissue: cortical bone and cancellous bone. An individual bone can be composed of both cortical and cancellous bone, and the relative mix of the two types does vary from bone to bone in your body. Cortical bone (sometimes referred to as compact bone) forms the cortex or outer shell of most bones. It is much denser, rigid and stronger than the other type of bone tissue, cancellous bone. Cancellous bone (also referred to as trabecular or spongy bone) appears at the end of long bones, at the points of attachment of joints and within the interior of the vertebrae. It has a greater surface area and is more porous, softer, weaker, less dense and less stiff than cortical bone. As a result, cancellous bone is more affected by osteoporosis than cortical bone. 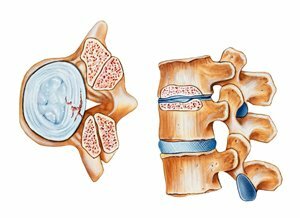 Because the vertebral area is largely composed of cancellous bone, it is at a greater risk of osteoporotic fracture when compared to other parts of the body. The image to the right shows a cross section of the vertebral body. The vertebral body is the portion of the spinal column facing into the body. Note the porous structure of the bone where the black indicates empty space and the light color indicates cancellous bone. Cancellous bone is composed of many individual and interconnected trabecula. Trabecula is a small, microscopic tissue element. They look like beams (“trabecula” is Latin for “small beam”) and are often in the forms of small rods or plates. The plural of trabecula is trabeculae. When we talk about bone quality and osteoporosis, we are specifically referring to the quality of the cancellous or trabecular bone. Bone quality is defined as the sum of the structural and material properties of the trabecular bone. The structural properties of bone refer to the structure of the trabecular bone. I mentioned earlier that the trabecular or cancellous bone is made up of many interconnected trabecula (trabeculae) and that they are either in the shape of a rod or a plate. The illustration to the right shows a microscopic view of a trabecular bone. Note the flatter, plate-like trabecula and the more narrow, rod-like trabecula in the image. The more of the thicker plate-like trabeculae present in the structure as compared to the thinner, rod-like trabeculae, the better the quality of the bone. The better the quality, the stronger the bone. Trabecular bone that has seen its plate-like trabecula replaced by rod-like trabecula is weaker, osteoporotic and more at risk of a fracture. This change can occur over time and is dependent upon the individual’s family history, and exercise and nutritional history. The illustrations to the right show the trabecular structure of bone from a 74 year old female and the trabecular bone structure from a 36 year old female. Note the higher frequency of plate-like trabecula in the bone structure of the 36 year old when compared to the bone structure of the 74 year old female. In addition, the 74 year old female has more rod-like structures and more empty space. The material properties refer to substances or matter such as collagen and minerals that make up the bone. High Resolution peripheral Quantitative Computed Tomography (HR-pQCT) provides high resolution, three-dimensional monitoring of the architectural structure of bone. Because it is able to provide a microscopic view it can be used to determine the quality of the bone. However, this technology is much more expensive than the BMD test or DXA test. In addition, HR-pQCT examination exposes you to more radiation compared to a DXA and the machines are not as readily available as DXA machines. As a result, the use of HR-pQCT is usually reserved for special cases and research studies. Given that the measurement of bone quality is largely inaccessible to the majority of people, should we leave bone quality aside and rely upon the BMD as a compass for bone strength? I believe that the answer to that question is “no”. New research is showing that the quality of your bone structure can greatly influence whether you sustain a fracture or not. We also have determined that there are activities we can pursue that will improve the quality of the bone. For example, a study (5) presented at the 2010 American Society of Bone Mineral Research (ASBMR) meeting in Toronto explored the differences of the trabecular bone in postmenopausal women who had fragility fractures with those of women in the same age group who did not sustain a fragility fracture. Researchers compared 101 control subjects who had not fractured to 68 women who had sustained fractures from a fall or slip from a standing height or lower position. The research team discovered that the DXA scores of both groups were similar. However, the quality of the bone in the fracture group was much less than that of the group that did not fracture. Another study suggests that people who are more active through exercise have better bone quality than people who are inactive: a review of data from over 6000 women of mixed ethnicity between the ages of 50 and 79 years found that the most active women in the group had geometrically stronger femurs, or thigh bones. The bones had more resistance to bending. Try not to get too preoccupied with your bone density and your DXA score. It is one variable in the overall equation in determining your bone strength. But it is not the be all and end all. The quality of your bone structure is very important in determining the strength of your bones and their ability to resist fracture. It appears that people who are active through exercise have better quality bone structure and that you can influence the quality of your bone through regular and appropriate exercise for your body. Bottom line: bone quality matters, incorporate physical activity into your bone health regimen and consult with a qualified professional knowledgeable in movement and bone health. Liu XS et al. Fewer Trabecular Plates and Decreased Connectivity Between Plates and Rods is associated with Reduced Bone Stiffness in Postmenopausal Women with Fragility Fractures. Columbia Univ. NY. Poster presentation at the 2010 ASBMR Toronto. 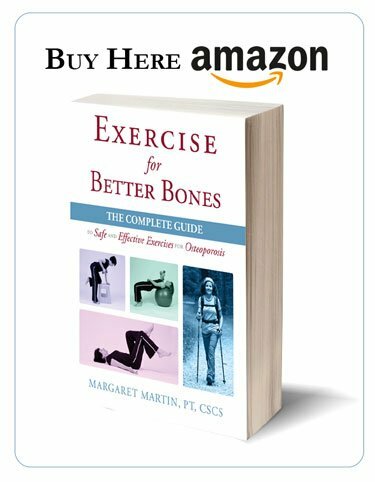 Margaret …… this was a useful read for me because I have a low reading in the lower back. It is good news to think that this does not necessarily mean “trouble” ahead ……. I will continue to exercise and eat with awareness. Also, I have trust and faith that all will be well for me as there is no family history of osteoporosis, although I know too that is no guarantee for me. Jean Anne – I am glad you found the article useful and keep up the exercise and good nutritional habits. Only strong bones can resist fractures. It is official now, after all. Thank you, Margret, for a great program! DXA low or high, what matters is the HOW of exercise and nutrition. Hi Marion – Thanks for the comments. Yes, the HOW of exercise and nutrition does matter. Health professionals such as you who know these “hows” are what will make the difference for clients. Keep up the good work in California! I found the article to be very encouraging! I am only 40 years old and have been diagnosed with severe Osteoporosis, having a bone density of -4.1. The only reason I know about the condition is because I had a low vitamin D level of 20, so they did a DXA scan that revealed the problem. My vitamin D levels are now high, and all of my other medical tests appear normal. No one knows the cause of my Osteoporosis, but it’s probably many things. Low vit D, small frame, too sedentary, anxiety, caffeine,etc. I’ve been terrified about getting a fracture.. but hopefully will be able to reverse and improve my condition. I don’t believe I’ll ever be willing to take any of the medications they recommend. Perhaps some doctor will give me the HR-pQCT, but I’m concerned about radiation, having done alot of x-rays and a CT in the past year or so. Ed – Thanks for the update and keep us posted on your progress. Glad that the article was of use to you. There is still much research to happen in this area. As it happens, I will keep you posted. 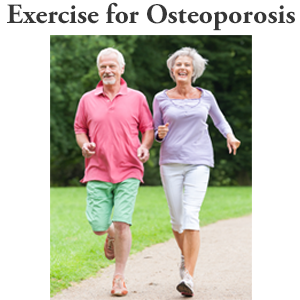 Keep in mind that exercise for osteoporosis should be a part of your health routine. A couple of things – in case it has not been done – is to ask your doctor to check your testosterone level and for celiac or gluten intolerance (many people do not realize they are celiac). It is good that your doctor had your Vit. D level tested and then followed up with a DXA. Sounds like your in good hands. This article was very interesting and would seem to account for why some people with low bone density/osteoporosis don’t fracture and others do. The rheumatologist I’m currently seeing does place emphsis on exercise, which is good, but he also feels that those with osteoporosis (like myself) who are classified as having “low” fracture risk do not need to make any changes to their daily activities, body movements or exercise routines. This doesn’t make sense to me, which is why I sought out more information on line and, happily, found your site. I think part of his reasoning is based on my age (48). Given that a DXA scan doesn’t reveal all we need to know about our bones, shouldn’t everyone with osteoporosis, at low or high fracture risk, be taught to actively avoid potential fractures through exercise and postural/body movement changes? He thinks that flexion exercises and stretches don’t put me at fracture risk because I’m considered at “low” fracture risk. What do you think based on research and experience? Theresa, your comments and questions are great. I encourage you to follow your intuition. As you have correctly stated bone mineral density scores are not the only determinant of fracture risk and so it is best to be preventative. There are also additional benefits to being mindful about how you do your exercises and daily activities. It reduces your risk for disc and muscular injuries. Secondly, as you incorporate safe mechanics into your exercise routines it reinforces good body mechanics through your daily activities, and so they support one another. Thirdly, 99.9% of people in society have more flexion (forward bending) of their spine than they need and do not need to add more into their exercise routine – quite the opposite. Lastly, your “fracture risk” may change in the coming years as you go into menopause and so it is never too early to start moving with stronger, safer body mechanics. As a physiotherapist I have found this online course fantastically informative so far. I have passed it on to my colleagues on facebook as I think its a message we should all be passing on to our patients. Thank you! Thank you for passing the information onto your colleagues. It helps spread the word on our important role into our patients skeletal health. Be well. This article has made me feel much better, thank you. I have just had a regular scan which revealed osteoporosis in my spine. My GP wants me to start on Bonviva. Having researched this I am very reluctant. I have always been very active and physically fit so intend to rigorously follow the right exercise plan and beneficial diet for my bones for the foreseeable future. I am 58 year old female who has exercised my whole life and have suffered 2 vertebral compression fractures in the last two and a half years, one traumatic and one not. I have significant osteoporosis in my spine with a T score of -5 which has improved on one year of Forteo. I used to run 3 miles a day up until my first fracture. Is it safe til still at least jog because I am afraid to do a lot of things I used too! Can you site the reference for where you mentioned” Another study suggests that people who are more active through exercise have better bone quality than people who are inactive: ” I would like to read it . Thank you! 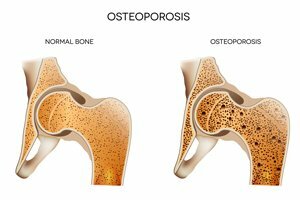 Hi Betty: https://melioguide.com/osteoporosis-prevention/bone-quality-osteoporosis/ Read under the title Bone Quality Matters.